Two Starbucks regulars in California claim Americans are getting screwed over by their favorite caffeine provider. In a class-action lawsuit filed Wednesday, Siera Strumlauf and Benjamin Robles accuse Starbucks of purposefully underfilling lattes by at least 25 percent — an intentional act of fraud, their suit claims, meant to cut costs by putting less milk into the supposed Tall (12-ounce), Grande (16-ounce), and Venti (20-ounce) sizes. 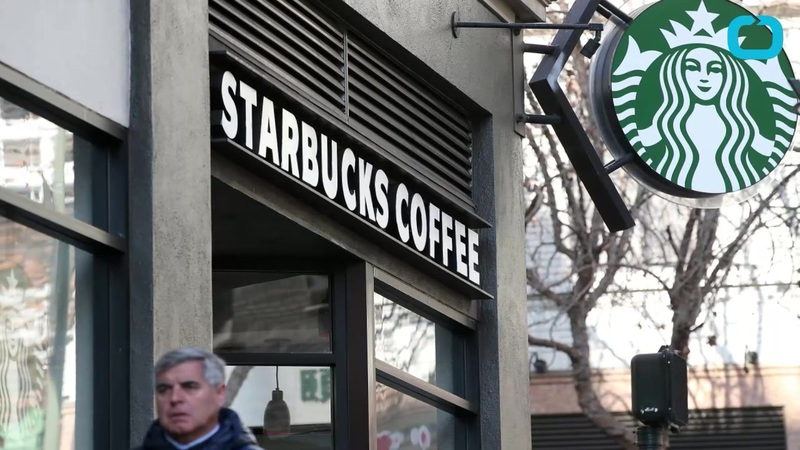 Through this alleged ruse, Starbucks "has saved countless millions of dollars in the cost of goods sold and was unjustly enriched by taking payment for more product than it delivers," argues the pair, who say they used to visit Starbucks several times a week. For instance, in making a "grande" 16-ounce latte, baristas are required to use 12 ounces of milk, plus two 1-ounce shots of espresso. Therefore, the maximum possible fluid ounce amount of latte a customer could possibly receive is 14 ounces, the pair alleged. Perhaps most significantly, the pair contend that the cups Starbucks uses for its 12-, 16- and 20-ounce lattes can hold exactly those amounts if they are filled completely to the top brim. But as a rule, Starbucks employees are instructed to leave a quarter-inch of space from the top of the cup. From a logical standpoint, that means that no cup Starbucks uses could possibly contain the alleged serving size, and every drink is filled less than the amount advertised, the consumers said. Neither can the foam count toward a drink's volume because, the lawsuit says, "the food science community measures foam by mass, not volume," though right now they argue Starbucks does. Obviously this reasoning could hit some snags when other drinks are factored in — a Grande cappuccino will by definition have less volume than a Grande latte, and in an attempt to bite into the third-wave trend, the coffee giant's espresso drink menu lately has exploded with all manner of milk-to-foam variations. A Starbucks rep responded that the suit has no merit because their "handcrafted beverages" are inherently going to vary in size, and that they "inform customers of the likelihood of variations." A vague-sounding dismissal for now, but the coffee giant certainly isn't planning to roll over and rename the Venti size whatever the Italian word is for "18."